Council of Vapor is very well known throughout the vaping world, and rightfully so. 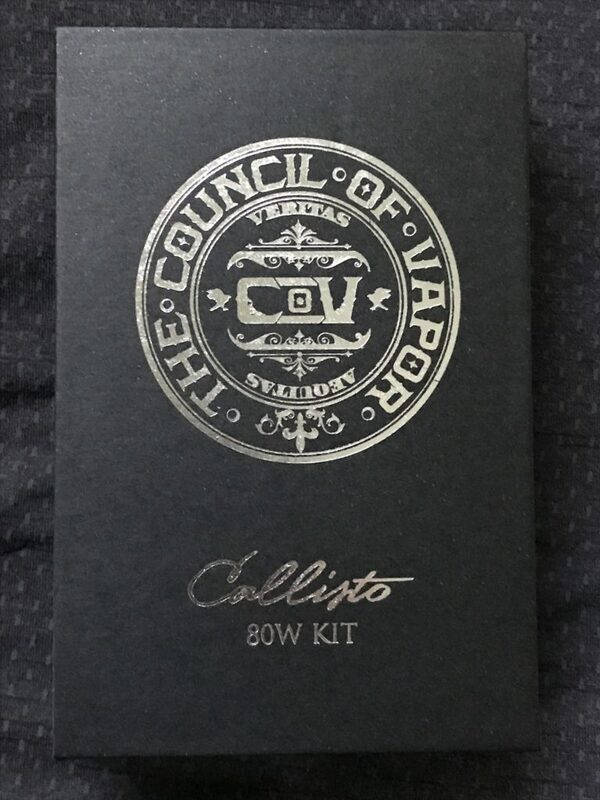 With high quality and long lasting gear coupled with excellent customer service, Council of Vapor is a top ranking company, which is why I was super chuffed when I got to test out the Council of Vaper Callisto Kit – COV’s premier vape starter kit. 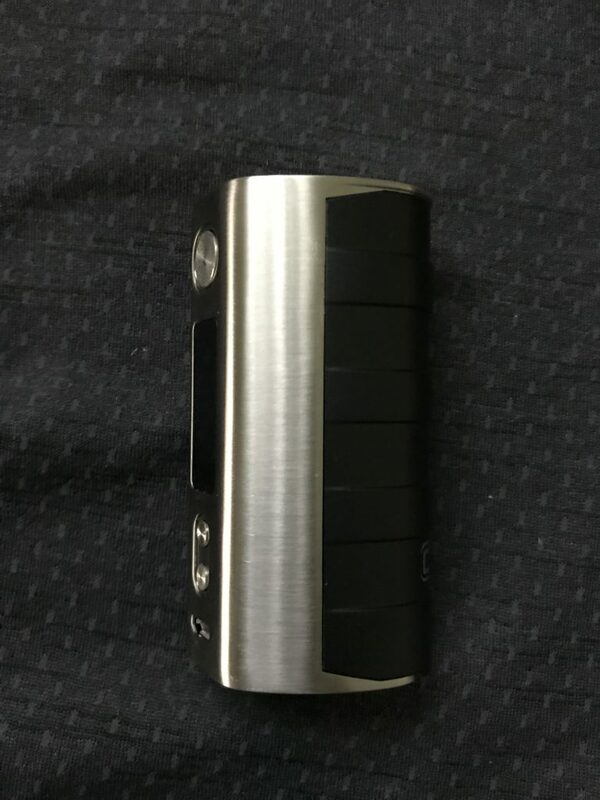 The Callisto 80W uniquely designed mod along with a sub ohm tank called the Windrunner. How good are these two products? I invite you to read on and find out. The packaging screams uniqueness. Everything about it is premium, so as soon as you unbox the shipping packaging, you know you’re in good hands. When you take off the top cover you are very neatly presented with the Callisto and the Windrunner which are surrounded by a nice padding to ensure your gear is kept perfectly safe. 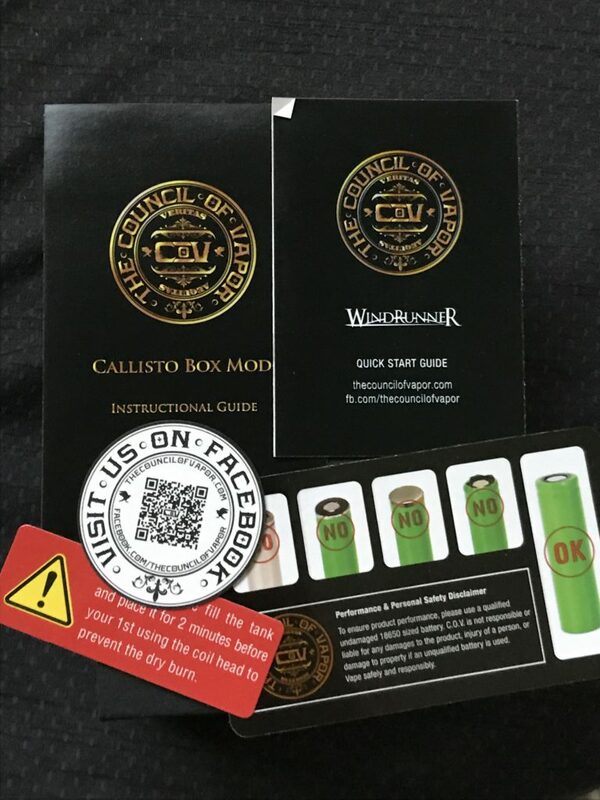 Council of Vaper Callisto Kit Review: What’s In The Box? Not a bad haul if I may say so. The Callisto 80W mod is a single 18650 mod. The stainless steel is very professionally done with no flaws in it at all. The black battery door matches great but could use stronger magnets. The battery door will hold but I like the stronger magnets myself. The screen is good but not easily read in direct sunlight (this is why you need OLED on ALL mods). The information on the screen, however, is detailed and rather useful. You have your battery meter, voltage, ohms, wattage and/or TC. The design is not boxy at all. The Callisto has curves and the screen is off set which is actually easier on the wrist when you’re looking at it on the fly. 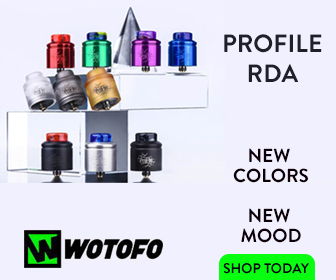 You have room to easily set a 24mm tank/RDA with very little room left, which ensures a snug, tidy overall finish to the mod. 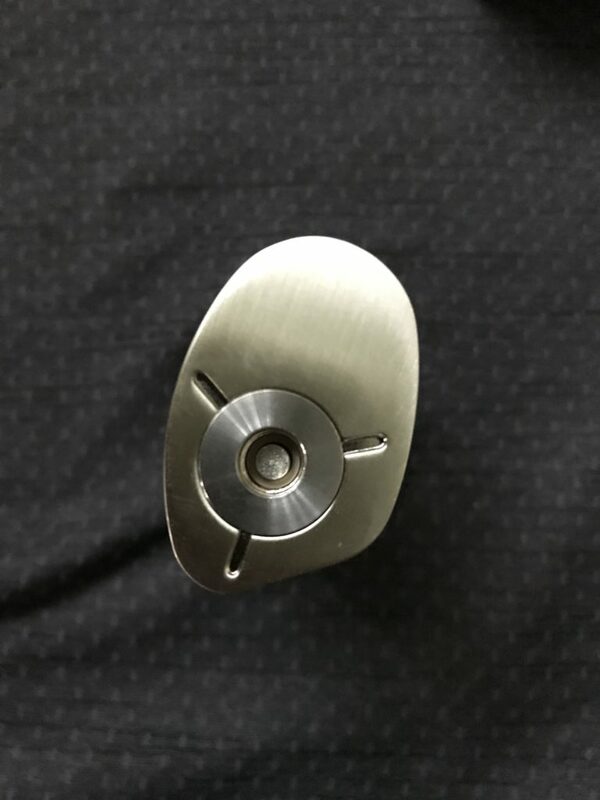 The buttons are stainless steel and have a nice click to them. The 510 connection is solid and the spring is firm, ensuring a solid connection. The Windrunner is a great looking tank as well, though you might think it is an RTA on first inspection. It’s a top-fill tank and, while the holes are OK sized, I’d have preferred them to be slightly bigger. The airflow is spot on, though, and you can tweak it very precisely to get just what you want from it. The Windrunner is flawlessly made too; every aspect of it has been designed and machined with precision. Everything fits perfectly with no leaking and you will find ZERO imperfections in and around the tank’s components. The only potential downside is that it will only hold 2.5ml of E Juice, which is about 50% less than most of its significant competition. This isn’t a deal breaker for me, personally, but obviously I’d have loved to have had more capacity to play with. So, as you see, a small tank with big tank performance specs. 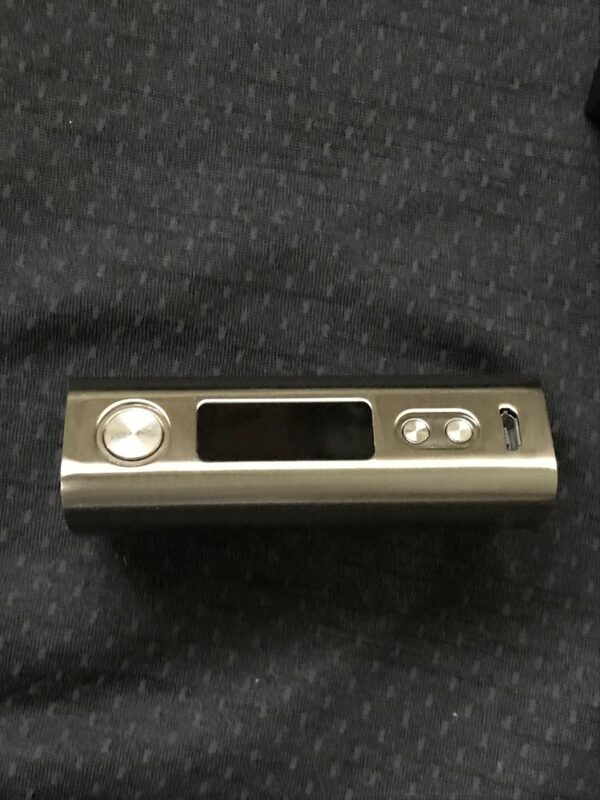 After installing a battery and powering the mod, the screen says Council of Vapor and then shows the normal operating screen. You do get a few effects with the Callisto like you do with the SX YiHi mods like Standard, High Power, and Low Power. This is a nice touch. The screen is black with a greenish blue lettering design that’s very cool and is rather easy on the eyes. 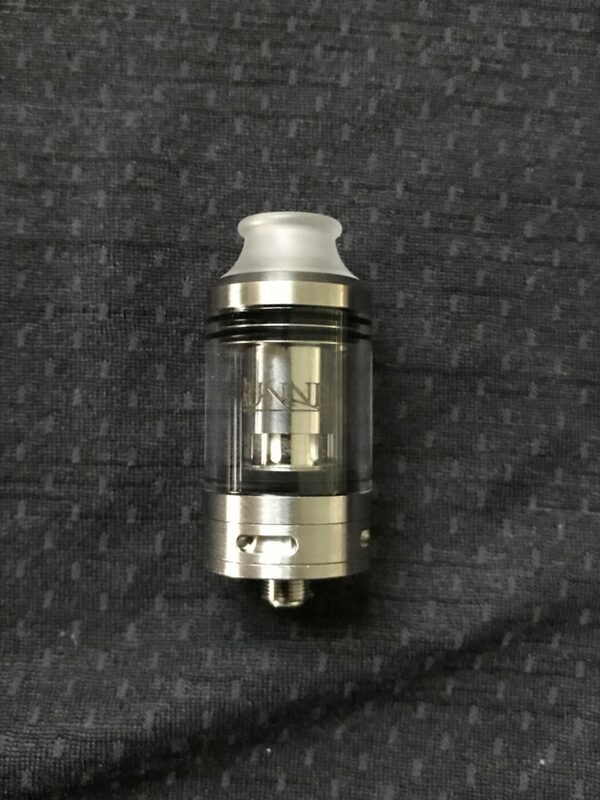 I juiced up the Windrunner coils and then filled the tank. 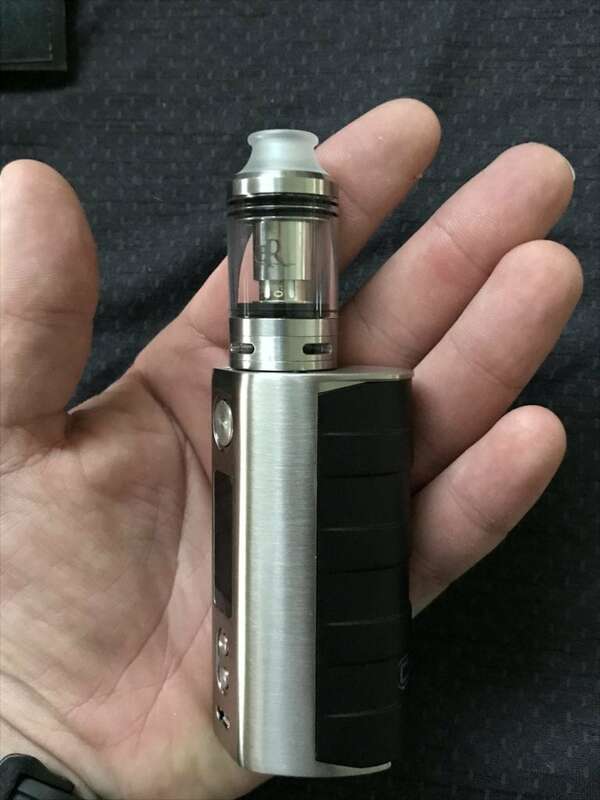 I put the Windrunner on top the Callisto and started vaping at 30W and was amazed by the powerhouse performance of this low wattage setup. Turning up to the max power output for the Callisto, 80W, in 5W increments), the Windrunner handled everything. The flavor and clouds from the Windrunner are great considering it’s size and wattage restraints. The Callisto was ran using a Sony VTC5 battery. A fully charged VTC5 running at 45W lasted 12 hours and the Callisto never got hot. The Callisto never once faulted on me, firing each and every time. The firing delay is very short too – you hit the fire key and you’re vaping. No messing around in this regard. Overall, this is a very solid mod with an extremely accurate chipset. I did compare the Callisto to one of my DNA mods using the Windrunner. 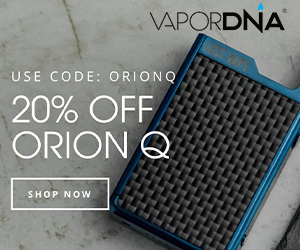 On the Callisto it read .24ohm and on the DNA it read .22ohm. A very respectable closeness, given the price difference between these two setups. The thing about the Council of Vaper Callisto Kit is this: it’s aimed at beginners or those just starting their vaping journey. And that’s fantastic; I just wish ALL beginner vaping kits were done to the same quality. I am not a beginner, however, and yet I loved every moment I spent with this wonderful piece of hardware. I adore the way it looks, it’s petite size, how it vapes, and how damn accurate it is at all times. Basically, the Council of Vaper Callisto Kit is definitely staying in my weekly rotation of hardware. 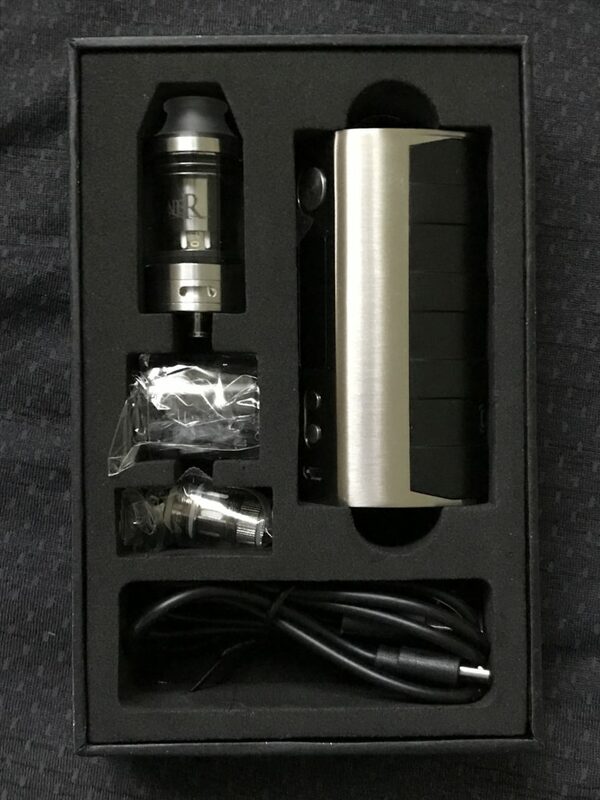 If you’re new to vaping (and an old hat), the Council of Vaper Callisto Kit is 100% worth a look. For quality and overall performance, it is in a league of its own. Though given its single-cell nature, I will say this: if you’re a chain-vaper, you will definitely need to carry spare cells with you. The thing about the Council of Vaper Callisto Kit is this: it’s aimed at beginners or those just starting their vaping journey. And that’s fantastic; I just wish ALL beginner vaping kits were done to the same quality. I am not a beginner, however, and yet I loved every moment I spent with this wonderful piece of hardware. I adore the way it looks, it’s petite size, how it vapes, and how damn accurate it is at all times. Basically, the Council of Vaper Callisto Kit is definitely staying in my weekly rotation of hardware.